The Mamma Mia Here We Go Again Blu Ray sees Sophie learning about her mother's past while pregnant. The Mamma Mia! Here We Go Again Blu Ray stars Lily James, Meryl Streep, Amanda Seyfried, Andy Garcia, Pierce Brosnan, Julie Walters and Cher. 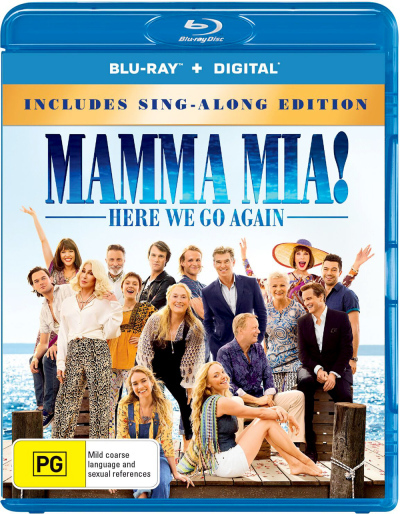 Click the button below to add the Mamma Mia Here We Go Again (Blu Ray) to your wish list.